The view and location. Stefano was nice.Also the apartment was spacious but thats it! Quiet surroundings. Friendly host and good bed. Nice sea view from the room and big terrace. Fresh bread from the baker in the morning. Close to small nice city by the beach - Puerto Naos. Host is very kind, helpful and friendly.We could adjust our check-in and check-out times and received a welcome wine from La Palma. We also received information about the local area by him. Weather was very consistent unlike in Santa Cruz area where it was cloudy and rainy every 1-2 hours. 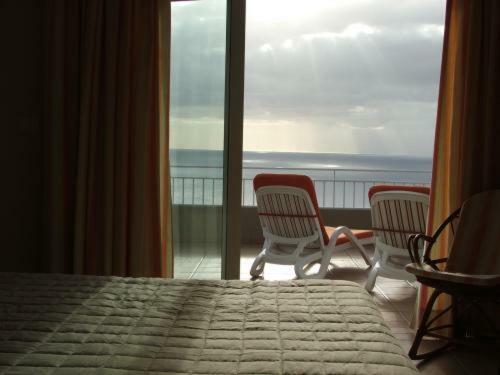 View from balcony- to the sea and Peurto Naos and banana plantage & sunsets- was beautiful. At night we could see beautiful stars. What an experience it was! Overall, a great stay! 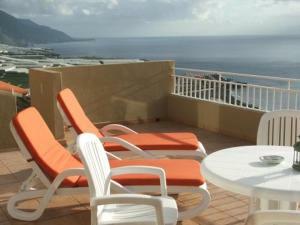 We are very glad that we had chosen La Muralla apartment. The view over the ocean during the sunset was spectacular. 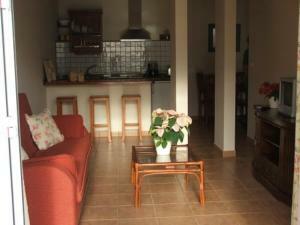 Apartment is spacious, balcony is quite large and has table, chairs, sunbeds. Kitchen is well equipped. Fabulous views and very roomy, comfy apartment. Would stay again because of this. Der Blick vom sehr großzügigen Balkon auf den Sternenhimmel - grandios natürlich auch auf´s Meer und die dunklen Felsen im Kontrast zum blauen Himmel - sehr idyllisch mit den Fischerbooten Der individuelle Brötchenservice, die unkomplizierte Schlüssselübergabe und Stefano war sofort da, wenn man ihn brauchte. Gut - wir brauchten ihn nur einmal, weil auf dem Dach vor uns etwas lag. Das Appartemennt ist zweckmäßig eingerichtet, alles hat tadellos funktioniert. Der Ausblick war traumhaft. Blick auf das Meer und jeden Abend kann man den Sonnenuntergang beobachten. Der morgentliche Brötchenservice war perfekt und wird von einem deutschen Bäcker aus dem Ort geliefert. Bei uns sind das Baquettbrötchen. Stefano ist sehr nett und hilfsbereit, wenn man etwas wollte. Die Fahrt in den Ort -ca. 1km- hat uns nicht gestört. Auch haben wir keine Geräuschbelästigung von der Straße wahrgenommen. Die Unterkunft können wir empfehlen. Die Lage ist toll. Von der Terrasse mit Meerblick hat man einen Logenplatz für den Sonnenuntergang. Stefano, der Gastgeber, ist sehr freundlich und immer hilfsbereit, wenn es um Ausflugstipps geht. Das Appartement ist geräumig, die Küche gut ausgestattet. Tolles Appartment mit unglaublichem Blick und sehr unkompliziertem und hilfsbereiten Gastgeber sowie zuverlässigen Reinigungskräften. Volle Empfehlung! Stefano ist sehr nett und hat uns gleich mit lokalen Veranstaltungstipps versorgt. Lock in a great price for La Muralla Apartamentos – rated 8.7 by recent guests! La Muralla Apartamentos This rating is a reflection of how the property compares to the industry standard when it comes to price, facilities and services available. It's based on a self-evaluation by the property. Use this rating to help choose your stay! 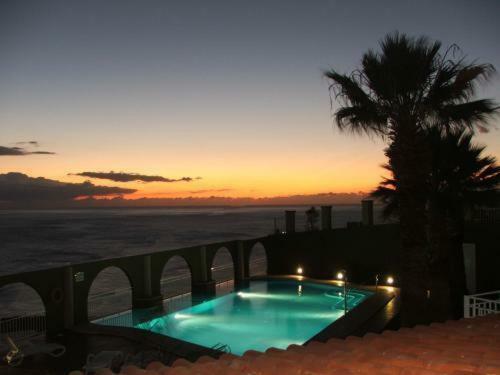 One of our top picks in Puerto Naos.La Muralla is a small complex of 11 apartments located in a unique point, next to the Puerto Naos’ view point, and 0.6 mi from the beach. The apartment building features a swimming pool with massage jets, a wide private west-facing sun terrace with sea views. Free Wi-Fi is available in public areas. All of our apartments have equipped kitchens, satellite TV, safe deposit, extra cot and beds under request, parking and welcome products. 'A' apartments have 2 bedrooms and 'B' apartments have 1 bedroom. 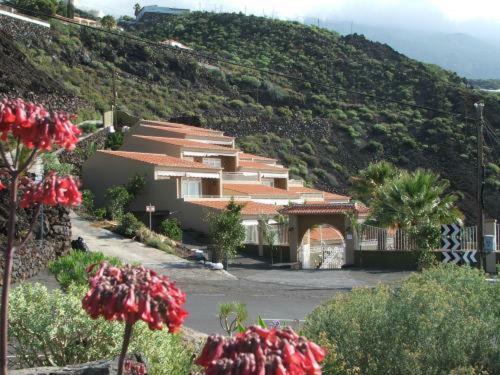 This property is also rated for the best value in Puerto Naos! Guests are getting more for their money when compared to other properties in this city. When would you like to stay at La Muralla Apartamentos? 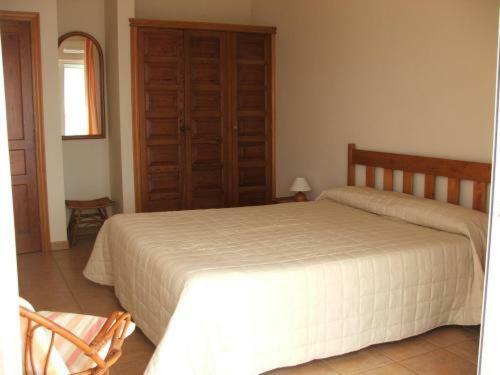 Type B (1 bedroom): one double bed in the bedroom and one sofa bed in the living room, with a complete bathroom and fully equipped kitchen. This option in an 'A' apartment with one double room and 1 single room. House Rules La Muralla Apartamentos takes special requests – add in the next step! 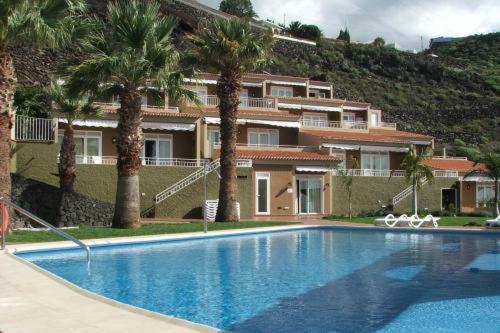 La Muralla Apartamentos accepts these cards and reserves the right to temporarily hold an amount prior to arrival. 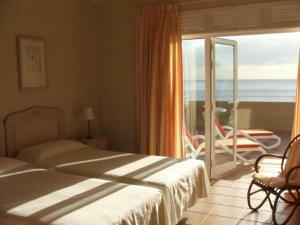 As there is no 24-hour reception, guests are required to contact the property before arrival. Please inform La Muralla Apartamentos of your expected arrival time in advance. You can use the Special Requests box when booking, or contact the property directly using the contact details in your confirmation. Apartment extremely outdated and basic. Ants everywhere and I mean EVERYWHERE.Dingy and dirty looking couch to welcome you as soon as you walk in. Filthy floor, we couldn’t let our baby crawl on the floor since his hands, knees and feet would go pitch black in seconds from the amount of dust. Complained and offered to pay extra for cleaning to be done on the day. Came back and floor was exactly as before...Shower cubicle old and certainly not welcoming- no place to put shampoo or anything and black mould spots all over the corners. No oven in kitchen only microwave. Baby cot was dirty. The closets in our room had the brooms and dustpan left inside and they were very dirty with dust and dead insects on them. (what a sight when you’re about to hang your clothes) All the veranda furniture extremely filthy. We had to clean them ourselves very meticulously to be able to sit. Broom and mop right next to the veranda table leaning on the wall,an effort couldn’t even be made to hide the cleaning props. Amazed by the “good” reviews. Not going back. There was no WiFi in the room and very weak signal on the terrace. The hotel is situated next to banana farms - so, from out terrace there were also view to several huge water reservoirs with green water. The matras was a little bit hard. Beautiful appartement with anexceptional view.